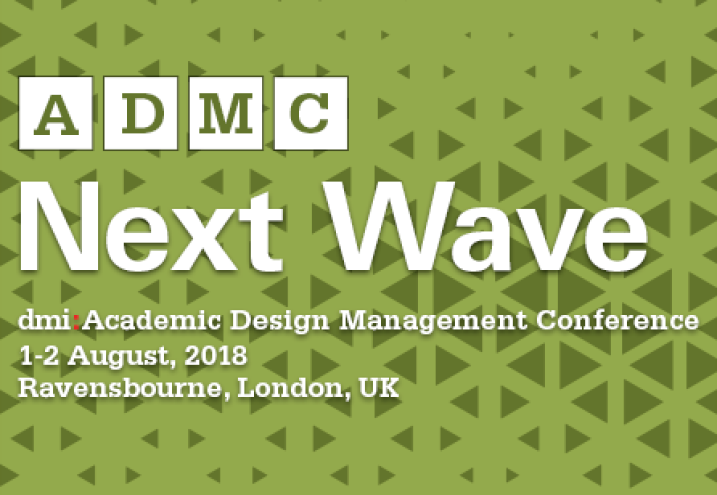 DMI: ADMC ’Next Wave’ will address the new design knowledge being created, the new forms of practice emerging, and how research and practice can stimulate and learn from each other. We are happy to announce the Call for Papers and R+B Submissions for the 21st DMI: Academic Design Management Conference to be held in London (UK) from the 1st to 2nd August 2018. Around the world, a mass movement of design researchers and practitioners are using their capabilities to enable innovation in complex systems and organizations across public and private sectors alike. ’Next Wave’ will address the new design knowledge being created, the new forms of practice emerging, and how research and practice can stimulate and learn from each other. Each day of this two day conference will open with a keynote presentation by noted academic and industry leaders, followed by multiple sessions running along concurrent tracks – multiple Academic Paper tracks and 1 practitioner-oriented R+B (Research + Business) track. The final afternoon will feature a dmi:FuturED Workshop to debate and discuss global design education and the skills designers that need to acquire to ensure success. Visit http://www.dmi.org/ADMC for more info on the call schedule, conference venue, deadlines, and to submit your paper abstracts and/or R+B proposals.